Find a Domains section and click on Redirects. 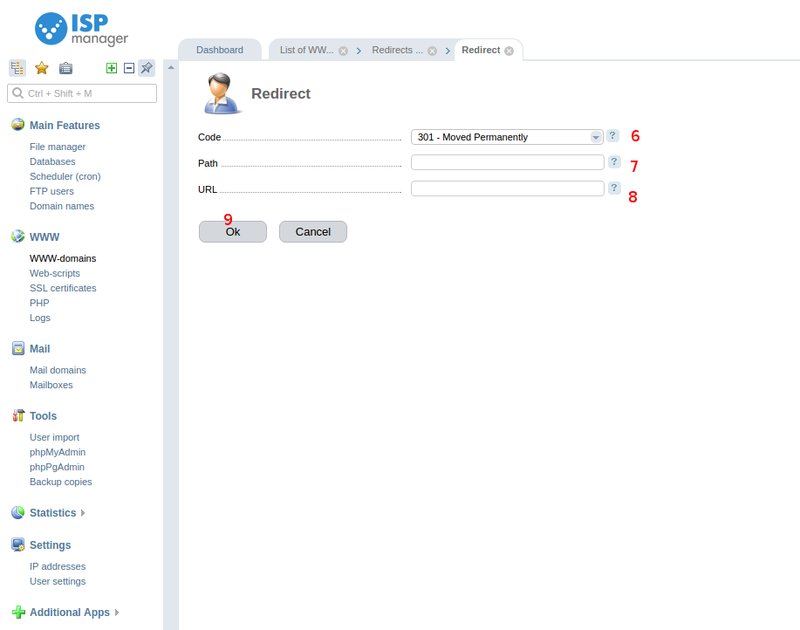 Select Permanent (301) as a type of redirect. In the next field, enter the domain you want to redirect. Or choose **All Public Domains**, if you want to redirect all domains on the server. In the field Redirects to, enter the domain you want to redirect yours to. 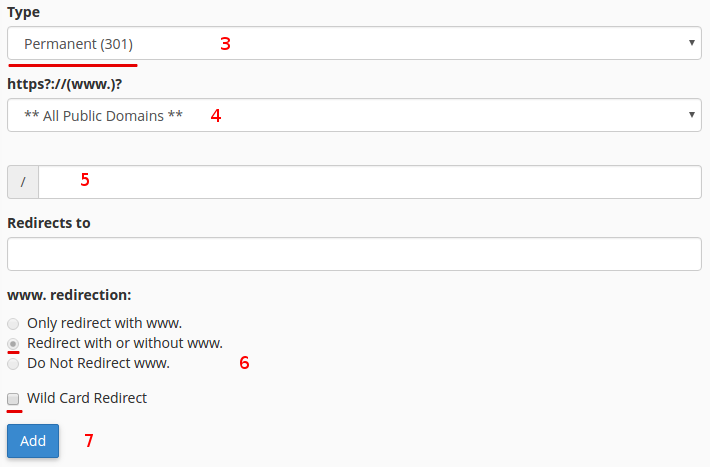 Select the corresponding parameters for the redirect (most common choices are Redirect with or without WWW and Wild Card Redirect). 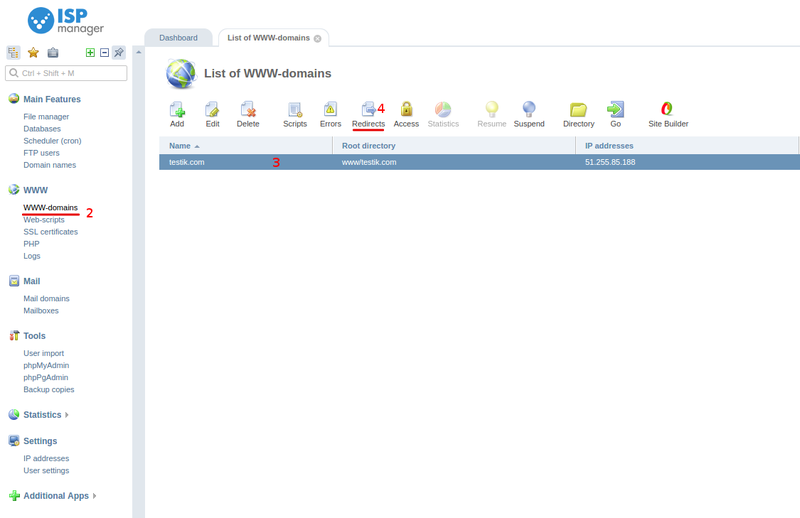 In WWW section, select WWW-domains. It will open a window with a domain list. Select a domain you want to redirect from. Click on the Redirects button. You will be transferred to the page with a list of redirects. Click on Add, to add a redirect. In the Path field, enter the address you want to redirect from. In the Code field, select «301 – Moved Permanently». In the URL field, enter the address of the page you want to redirect to. Connect to your website’s FTP server. Create an .htaccess file in the root directory (if it is already there — open it). Enter the following lines into it, replacing http://example.com/ with a domain you want to redirect from, and http://example2.com/ with a domain you want to redirect to. Now, you will have to fix robots.txt, because Yandex Web Search, which is very popular in Russia, has a tendency to misunderstand the domain redirect and may announce your new website a duplicate. Open the robots.txt (if there’s none — create it in the root directory).